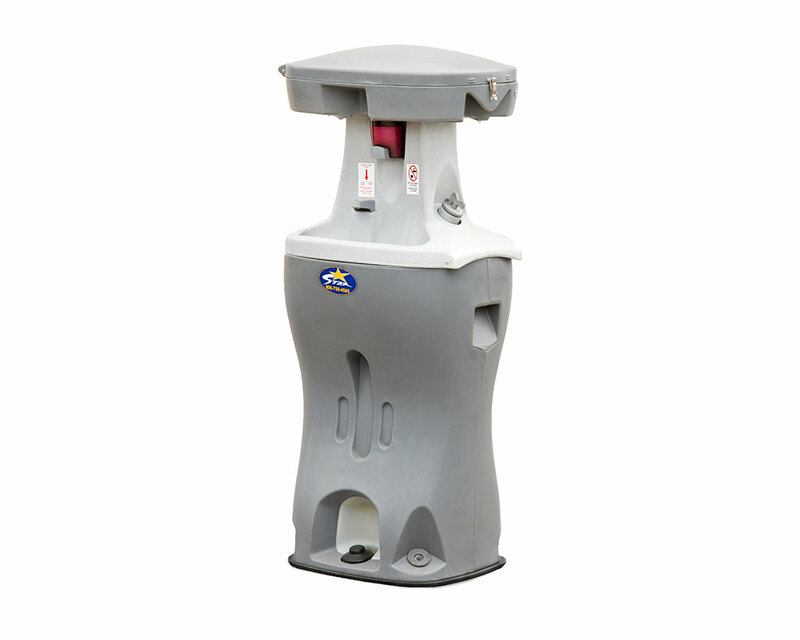 This stand alone hand wash station is a great companion to any of our units. It’s also great by itself! The two sided hand wash station allows for two people to use the unit at once. Fresh water is dispensed by the foot activated pump. Comes fully stocked with fresh water, liquid soap, and paper towels. Per regulation, this unit comes equipped with a containment tray for all our construction customers. Upon ordering, state you are a construction company in order to receive tray.